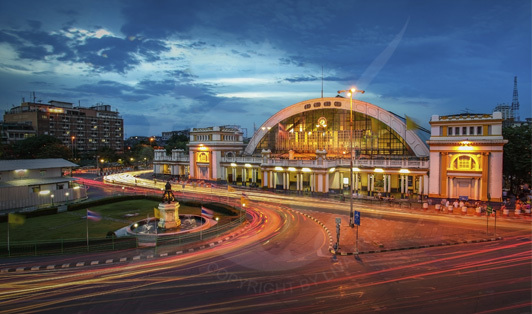 This railway station is the main train station in Bangkok. Located in the Pathum Wan district in the city center. After six years of construction, the station was opened in 1916. The railway station was designed by the Italian architect Mario Tamagno. The station is connected by the Metropolitan Rapid Transit subway system since 2004. There are train trips that cover northern, eastern, northeastern, and southern Thailand. Outside the station, you’ll find plenty of taxis waiting to take you anywhere in Bangkok.